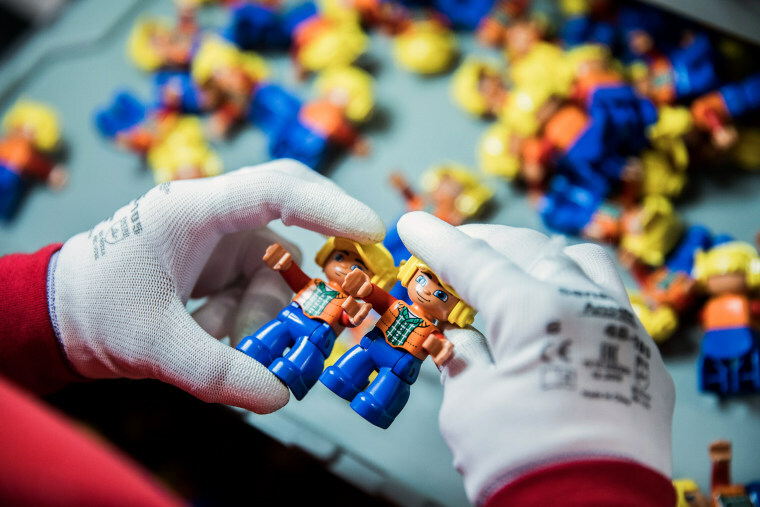 Danish toy maker Lego will cut 1,400 jobs, or about 8 percent of its global workforce, after reporting a rare decline in sales and profits in the first half of 2017. The privately held firm said Tuesday that it "now prepares to reset the company," with a new CEO due to take over in October with the task of simplifying the business after years of high growth and expansion into new ventures like film. Revenue dropped 5 percent to 14.9 billion kroner ($2.4 billion) in the first six months of the year, mainly as a result of weakness in core markets like the U.S. and Europe. Profits slipped 3 percent to 3.4 billion kroner ($544,000). He said the long-term aim is to reach more children in Europe and the United States and added there were "strong growth opportunities in growing markets such as China." The company, he said, needs to simplify its business model to reduce costs. Since 2012, the group has built an increasingly complex organization to support global double-digit growth. "In the process, we have added complexity into the organization which now in turn makes it harder for us to grow further," Vig Knudstorp said. He told Denmark's TV2 station that staff cuts would mainly affect administration and sales, not production. Last month, the maker of the famous colored building blocks appointed Niels B. Christiansen, who headed thermostat-maker Danfoss for nine years, as its chief executive to replace interim CEO Bali Padda. Christiansen will start Oct. 1.